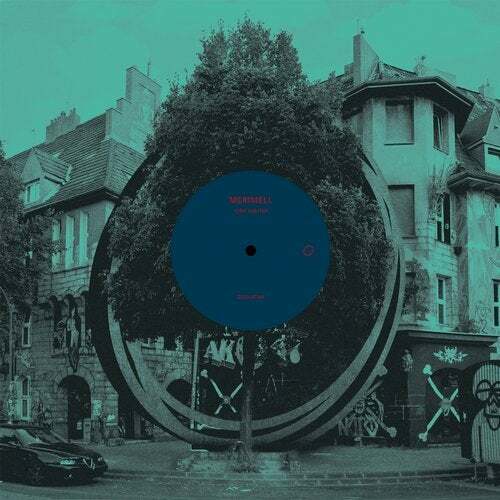 Estonian upstart Merimell joins Desolat with this four track forward thinking EP that is pushing the boundaries of the house and techno genre. With nods to moombahton and trap, the Cyber Seduction EP is set to pique the interest of those looking for something a little different. Cyber Seduction is a futuristic staccato cut that itches and scratches. The rising synths create tension that segues nicely into a lip-curling, head-nodding bass. Swish vocal chops complement everything nicely to give a well rounded groovy track. Drop It is an erratic yet pulsating affair. The topline acts like a MC, calling the listener deeper into the sublime production. Back again makes effective use of a distinctive topline. Underpinned by bass led goodness its repetetiveness is cleverly offset by a full range of drum sequences that keep things fully entertaining. His Rhythm comprises nice chunky beats and sharp vocal samples, while "Heat" contains more heat for your dancefloor.